Demetrius Nathaniel Pitts, aka Abdur Raheem Rafeeq, aka Salah ad-Deen Osama Waleed, 48, of Maple Heights, Ohio, was charged with one count of attempting to provide material support to al Qaeda, a designated foreign terrorist organization. Pitts was arrested Sunday by members of the FBI’s Joint Terrorism Task Force. The arrest and charges were announced by Attorney General Jeff Sessions, FBI Director Christopher Wray, Assistant Attorney General for National Security John C. Demers, U.S. Attorney Justin E. Herdman for the Northern District of Ohio, and Special Agent in Charge Stephen D. Anthony of the FBI’s Cleveland Division. Pitts and the UCE searched Google for a map of downtown Cleveland. After learning the fireworks would be launched from Voinovich Park, Pitts said: “Oh there you go. Oh yeah.” He was also pleased the park was near the U.S. Coast Guard station, the Army Corps of Engineers, and the Celebrezze Federal Building. The UCE texted Pitts later on June 22 and where he indicated al Qaeda “brothers” would provide Pitts with a bus pass and cellular phone. Pitts also indicated he intended to travel to Philadelphia, since Philadelphia is his hometown and he knows it best. Pitts indicated it was his “job” to “go look at the base of the ground” and that it was up to other “brothers” to complete other parts of the job. “And I’m gonna be downtown when the – when the thing go off. I’m gonna be somewhere cuz I wanna see it go off,” Pitts said. 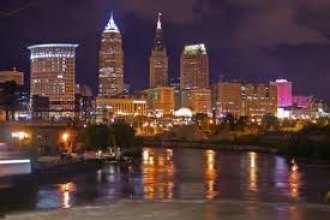 This investigation is being conducted by the FBI-Cleveland Division’s Joint Terrorism Task. The case is being prosecuted by Assistant U.S. Attorneys Michelle Baeppler and Matthew Shepherd of the Northern District of Ohio, and Trial Attorney Paul Casey of the National Security Division’s Counterterrorism Section.